It still might be the most shocking knockout in MMA history. In 2007, Mirko “Cro Cop” Filipovic was a win away from a UFC title shot and an opportunity to set up an MMA dream fight with Randy Couture. All he had to do was defeat Gabriel Gonzaga, who was a heavy underdog at best and a dead man walking at worst in the eyes of most fight fans. So, when Gonzaga hit Cro Cop’s own trademark head kick against the Croatian in the closing seconds of the first round of their fight, you’d be pressed to find a single fan who’s jaw didn’t damn near hit the floor. Gonzaga’s kick may have been the biggest upset and knockout in MMA history rolled into one at that point in time, and the only thing that shocked fight fans more than the kick itself was the sheer brutality of it. With Cro Cop set to return to the Octagon after a three and a half year absence, the UFC decided to run back one of the most memorable fights in UFC history for the main event of the promotion’s debut in Poland this weekend. The company has placed the Croatian legend opposite Gonzaga for the first time since their initial meeting eight years ago. Cro Cop looks to gain some momentum in the Octagon after dropping his last three UFC fights by knockout and Gonzaga looks to overcome a string of knockout losses of his own. This fight doesn’t have the same amount of fanfare behind it as their 2007 bout, but it’s a fun blast from the past and, thanks to the star power Cro Cop still brings to the table, it basically saved an event from being nearly unwatchable. Even though Cro Cop is far and away the most recognizable fighter competing this weekend, there are still a number of other decent match-ups on the card. In the co-main event slot, light heavyweight up-and-comer Jimi Manuwa will look to get back on track following his first career loss when he takes on longtime European star Jan Blachowicz. And, just weeks after Joanna Jędrzejczyk became the first Polish champion in UFC history, Scottish fighter Joanne Calderwood will step into Jędrzejczyk’s territory and try to impress enough against newcomer Maryna Moroz to earn herself a title fight. UFC Fight Night 64 takes place at the Krakow Arena in Krakow, Poland, and airs live on UFC Fight Pass. The card will kick off at 11:45 a.m. ET with eight preliminary bouts, before continuing on Fight Pass at 3 p.m. ET with the main card. Combat Press writers Sal DeRose and Vince Carey break down the card in this edition of Toe-to-Toe and assure you that 60 percent of the time, we’re right all of the time. The evening’s headliner is a rematch of a 2007 bout in which Gabriel Gonzaga silenced the world by knocking Mirko “Cro Cop” Filipovic out cold with a head kick. Both heavyweights have had their ups and downs since then, but neither has been a major player in the heavyweight title picture. Does that change for the winner of this bout, or is this simply a chance for Cro Cop to avenge the prior loss before both fighters ride off into the sunset? DeRose: This fight doesn’t change a thing for either fighter. At their age, and with their recent runs in the heavyweight division, the top of the division seems too far away to allow one win to get them anywhere near title contention. Heavyweight is a rather thin division. The top is simply missing a lot of talent. However, these guys had their shots years ago and couldn’t find the answer to snag the title. The game has simply moved on, leaving these two men behind. Gonzaga is on a two-fight skid. Meanwhile, Cro Cop’s currently riding a two-fight winning streak, but those two wins came against Satoshi Ishii. So, it isn’t like these guys are coming off of the big wins they used to score in their heydays. The result of this pair’s first meeting seems flukey and epitomizes the word “ironic,” considering Gonzaga knocked out Cro Cop with the head kick that made the Croatian kickboxer famous. This fight is pretty much part of the “Cro Cop Revenge Tour” before he decides to retire. Don’t get me wrong — I like the fight and it should entertaining. However, it doesn’t have any implications whatsoever. It should be a good battle, though. Gonzaga might keep it standing so the two legendary heavyweights can swing it out. I’m not complaining in the end, but just don’t expect anything big from it. Carey: First of all, the “Cro Cop Revenge Tour” sounds awesome. All I ask is that we aren’t subjected to a repeat of the Cro Cop-Frank Mir fight from a few years ago. As for this leg of the tour, I’m pretty much in complete agreement with Sal: these guys are done as title contenders and have been for a while now. As shallow as things are near the top of the heavyweight division, there are still a good 10 fighters in the weight class that would beat both of these guys 75 percent of the time. That’s enough to keep these two former contenders on the outside looking in. As for this weekend’s main event, I’m not confident that it is going to be the fun fight we’re hoping for. It seems that all anyone remembers from the first fight is the high kick, but Gonzaga was doing really well for himself even before he went shin to chin. “Napao” has always been a grappler first, and he was using those skills nicely and dominating Cro Cop on the mat for a while early in the fight. It’s a strategy I expect to come into play again this weekend. I’m really hoping for a war between these two, and I don’t doubt that we’ll see a couple of decent exchanges, but I have a gut feeling this fight might end up being a little lackluster. If Cro Cop can keep Gonzaga off of him and force the Brazilian to strike, then this one will get interesting. But “Napao” is a big dude and can be relentless when he feels he has the advantage on the mat. I know everyone is hoping for a throwback performance from Cro Cop, but this feels more like a Gonzaga submission win to me. Jimi Manuwa was rolling right along until he ran into Alexander Gustafsson and suffered his first pro loss. Now, he returns for the first time in over a year to face Jan Blachowicz. Is Manuwa still a legitimate up-and-coming contender? Will he prove as much in this co-headliner, or can Blachowicz steal his thunder? Carey: It’s tough for me to consider Manuwa an up-and-comer in the division. He’s 35 years old. Yes, he may only have 15 career fights and has been a pro for less than a decade, but that’s still a lot of mileage on a big body. It’s tough to see him getting the time he needs to improve before his skills start to decline. Manuwa is a good striker with great power, but he still has a ways to go before he’s able to compete with the best in the division in the stand-up department, and that’s his strong suit. While we’ve seen a bit of his ground game inside the Octagon, his reliance on the knockout suggests that he wants to stay off the mat at all costs. That’s not the skill set of a true title contender. Fans had been waiting for Blachowicz to make it to the Octagon for quite some time before he finally made his UFC debut in October. The Polish veteran has been considered one of the best fighters outside of the UFC for a while now. 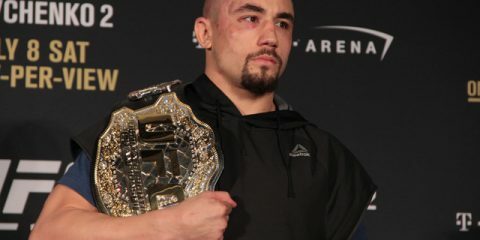 He made a name for himself by beating up on ex-Zuffa talent like Houston Alexander and Goran Reljic before moving to the Octagon and wrecking Ilir Latifi in front of Latifi’s hometown Swedish fans. Manuwa is going to be a major test for the Polish fighter, and we’ll get to see if Blachowicz is able to hang with the current UFC top 15. He’s going to have to pull off a minor upset to avoid getting beaten in front of his supporters this weekend. I’m seriously struggling to pick a winner here, but I’m going to say the biased crowed will be enough to lead Blachowicz to victory. Manuwa hits like a truck and can end the fight in a second, but Blachowicz is well rounded and has proven he has the gas tank to go the distance if needed. I see the Polish fighter mixing things up with takedowns and keeping his head on straight during exchanges, and that should be enough to allow Blachowicz to pull off the victory. I’m hesitant to predict a stoppage win, but if Manuwa starts fading I wouldn’t be surprised by a late finish. DeRose: Manuwa was pretty close to a title shot when he faced off last year against Gustafsson. A win in that encounter would have vaulted him into title contention. 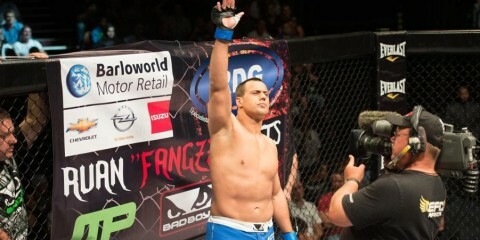 However, he was outclassed by a better fighter who was looking for a rematch with light heavyweight champion Jon Jones. Manuwa’s age is a considerable thing to take into account, as my colleague already noted. The Brit’s fight style — he looks to stand and knock out his opponents — isn’t conducive to a long career since. We also need to take into account the fact that Manuwa has been out of action for just over a year. At his age, the layoff could either be great and give him plenty of rest or turn out to be detrimental and mark the begin of a slow decline in his skills. Manuwa is a very overpowering striker who can knock out anybody if he lands a clean shot. His three UFC wins were all very impressive batterings, and his debut against Kyle Kingsbury still stands out among those performances. Manuwa might want to stay off the mat, but I’m not certain this one ever heads to the ground. Manuwa certainly isn’t an up-and-coming fighter. At that age, you have to take that title away from any fighter. But a win here certainly brings him back into the title contender mix. If Blachowicz steals this fight, it might be a long and hard climb back to the top for Manuwa. However, I don’t see the Polish fighter pulling it off. This is where Vince and I will disagree — and it stands out as the only fight on this card where we see a different winner. Manuwa is fighting for the first time outside of the United Kingdom. He hasn’t fought in a year and he isn’t getting any younger. However, he still gets the job done. Manuwa was undefeated before Gustafsson and he most likely learned from being in the cage with someone as talented as the Swede. Joanne Calderwood was one of the most highly touted strawweights heading into The Ultimate Fighter 20, but a loss to Rose Namajunas ended her title hopes in the house. With the women’s 115-pound division wide open at the moment and Calderwood already claiming a win inside the Octagon, what would “JoJo” need to do this weekend in order to get a shot at fellow European Joanna Jędrzejczyk’s belt? DeRose: Calderwood simply has to win emphatically. If she puts on a performance like she did against Seo Hee Ham, the title shot is most likely as good as hers. Calderwood is an entertaining fighter, and a fight between her and Jędrzejczyk is simply crazy to think about. I don’t know what I’d be more excited for: Jędrzejczyk and Calderwood for the belt or the soon-to-be spinoff of Full House, called Fuller House. Have mercy. Calderwood is most likely going to get the title shot. I don’t see a way in which the 28-year-old loses to Maryna Moroz. It seems like a softball pitch from the UFC to set up Calderwood for the upcoming card in Scotland in July. It makes sense, seeing as Calderwood is the biggest fighter to come from Scotland and the UFC’s debut in the country would undoubtedly be huge if it included a Calderwood title challenge. Calderwood just needs to keep her wits about her in this fight and focus on Moroz. 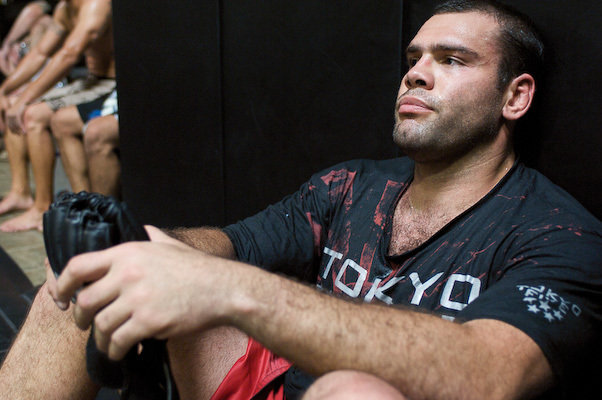 Moroz has finished four opponents with an armbar and could make Calderwood pay on the ground. Calderwood did not look great on the ground against Namajunas. Her submission defense looked below where it should be for a fighter of her caliber. If this fight hits the ground, we could be looking at a major upset. The fight needs to stay standing, at least until Calderwood can rock Moroz and jump into top control and finish with ground-and-pound. Calderwood is far and away the better striker here, and she should be victorious. The win will set up a crazy, aggressive fight with Jędrzejczyk. 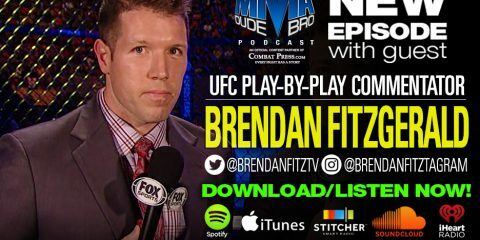 Carey: To those saying there’s actually a scenario where Calderwood earns the victory and somehow doesn’t end up in a title fight: In the words of Joey Gladstone, cut it out! There’s no clear-cut next contender for Jędrzejczyk’s belt right now, but fight fans have made it pretty obvious that a fight between the new champion and “JoJo” is the way the UFC needs to go. Many fans were expecting to see Calderwood fighting for the title at the conclusion of TUF last winter, and it’s not going to take much to convince them to jump right back on board the Calderwood title train after the Scottish fighter picks up another win this weekend. No disrespect to Moroz, who I think actually has a bright future ahead of her in the UFC, but she’s been dealt an impossible hand for her UFC debut. Calderwood is one of the best female strikers we’ve ever seen inside the Octagon. Calderwood is probably tops in the division, along with Jędrzejczyk. That’s a lot for anyone to handle in their UFC debut, let alone a fighter with just five career fights and less than two years of in-cage experience. I’m with my colleague on this one. The fight seems tailor-made to give Calderwood a title shot later this year, and I’m 100 percent looking forward to that. A fight between Calderwood and Jędrzejczyk would be one of the most anticipated women’s MMA fights we’ve seen in the Octagon, and to do it overseas where they’ both have a strong following seems like a no-brainer. 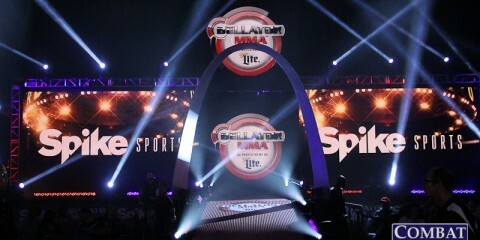 All that’s left is for Calderwood to do what she’s supposed to do. Expect “JoJo” to dominate on the feet and possibly score a stoppage win. Regardless of how she wins, she’ll be fighting for a title this summer. The UFC originally signed Aleksandra Albu last year to face Julie Kedzie at bantamweight. The promotion did this despite Albu actually only having one pro fight on her record. After pulling out of the Kedzie fight, Albu is dropping two weight classes lower and fighting as a strawweight against Izabela Badurek, who weighed in at 143.5 pounds in her last fight. Is Albu’s signing primarily about her looks, or is the UFC signing her to be an actual force at 115 pounds? Carey: Can I say both? Because I’m going to say both. I’m sure Albu’s looks had more than a little to do with her getting signed with only one career fight, but it’s not like either UFC women’s division is overflowing with talent right now. At 24 years old, Albu is just getting started, and it seems a little cruel to say she was only signed for her attractiveness before she’s even stepped into the Octagon. We’ve seen more than a few fighters enter the UFC with less than a handful of career fights lately, especially in the women’s divisions, so let’s not go judging Albu before she gets a chance to prove herself inside the cage. There’s obviously not much to watch in terms of fight footage involving Albu, but her one professional fight was pretty impressive. Obviously, Albu wasn’t fighting great competition. Her opponent was also making her pro debut, but “Stitch” looked extremely good in that bout, putting on the pressure with strikes and overwhelming her opponent on the feet before dominating on the mat with strong positioning and submission attempts. It wasn’t a flawless performance, but it was pretty damn solid. It’s hard to know exactly how to feel about Albu, but we should have a better understanding after this weekend. Her opponent, Badurek, has far more experience and will have a strong hometown fan base behind her to go along with her more proven resume. The Polish fighter, who doesn’t exactly look like a troll under a bridge either, has looked good enough as to cast some doubt on Albu’s chances of pulling off a win in just her second career fight. However, I can’t count out Albu until she actually gets to spend some time in the Octagon first. DeRose: I don’t know how to approach this one, but the UFC can’t go wrong with the attention the fight will receive. I don’t have enough film to sit here and judge Albu’s skill set in mixed martial arts, so writing her off seems like a bad idea without more than a single professional fight on her record. When it comes to writing Bellator predictions, I often encounter fighters who have only one or two fights or even guys who are making their debuts on the prelims. I’m going to approach this fight like I approach those fights, by saying this fight will at least tell a lot about Albu’s future. This is all dependant on both fighters making weight, though. Badurek was near the featherweight limit in her last fight and Albu was originally signed to face Kedzie at bantamweight. The only reason I’m picking Badurek is because of experience. Albu certainly won’t be the weaker fighter. Someone like Albu will do great for the strawweights, much like Paige VanZant. The division has a ton of potential stars on its hands, a stark contrast to the bantamweight division, which seems to be doomed outside of Ronda Rousey and, to a much smaller degree, Miesha Tate. DeRose: Despite incorrectly picking Leon Edwards to win in his last fight, I’m still pretty high on the welterweight. Edwards and Seth Baczynski look for finishes. Typically, when either of these two finishers take the cage, fireworks follow. Edwards has four knockout wins, and Baczynski has 10 submissions and another seven knockouts. This isn’t to mention Baczynski is nicknamed “The Polish Pistola,” so it should be safe to say the crowd will be in his favor and he will feed off their energy. I like this fight, as it pairs two guys who are also probably fighting for their jobs after coming off losses. These are the right ingredients for a good fight. Carey: I like the prelim match-up between former Cage Warriors champion Stevie Ray and Polish prospect Marcin Bandel. Both fighters are young, like to finish and are desperate to prove themselves in the Octagon, so this should be fun. 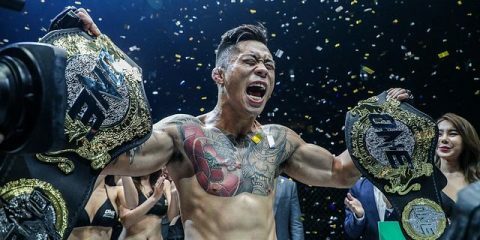 Bandel is coming off a disappointing UFC debut in which he was knocked out in less than two minutes by Mairbek Taisumov, but prior to that he was riding a 12-fight winning streak in which he’d won every bout by submission. That’s an interesting stat as he enters the cage against the debuting Ray, who’s fought better competition than most outside of a major organization due to his time in Cage Warriors but has also dropped four of his five losses by tapout. I’m not guaranteeing a barnburner here, but I have a feeling this will end up being a pretty decent scrap. Carey: A Saturday night out. The UFC has spoiled us with three straight weekends without a fight card beyond mid-afternoon, and with two big events on the horizon — a Fox card and a pay-per-view — in the next two weeks, now’s the time to take advantage of a fight-free schedule for Saturday night. Kick off your day with the prelims, watch Cro Cop and Gonzaga in the afternoon and then do whatever the hell you want on Saturday evening. The UFC has a massive summer schedule coming up, so, for those of us who watch every card religiously, we need to take these opportunities while we can. DeRose: The leftover Easter candy that is sure to be on sale at any nearby store. I’m a big fan of snacking during events. I eat constantly throughout the day, and there is just something about live sporting events that increases my hunger. Look for some leftover Peeps or perhaps those delicious chocolate rabbits. This is the UFC’s first trip to Poland and it should be a rather exciting event overall. Snacks are undoubtedly necessary for an event of this magnitude. Vince Carey has been writing about the sport of MMA since 2010. 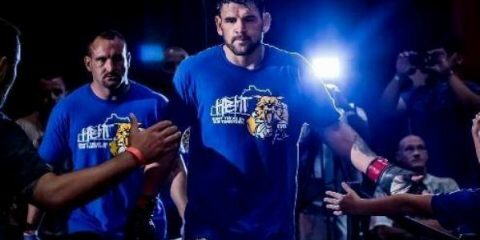 The Omaha-based writer is looking to provide readers with interesting content on all things related to MMA. Prior to joining Combat Press, his work appeared on The MMA Corner.